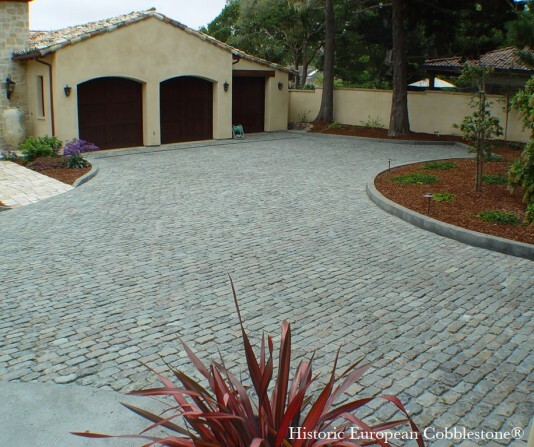 Historic European Cobblestone® is authentic antique 100 to 400 year-old reclaimed granite cobblestone, old sandstone cobblestone, one-of-kind rare cobble, salvaged limestone and granite curb for driveways, walkways, patios and more! The widest selection and highest quality material competitively priced! 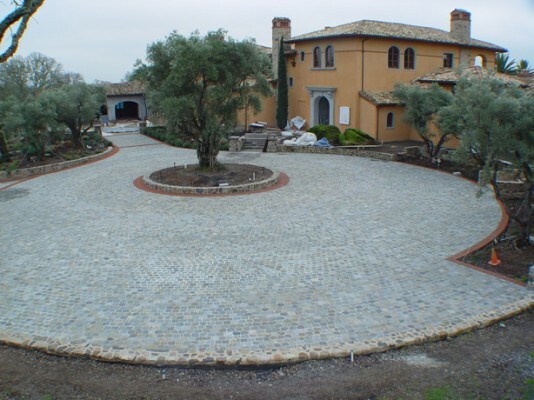 Monarch Stone International is the leading importer and supplier of authentic antique European cobblestone in the U.S. This is an exceptional collection of cobble and curb, originally harvested, quarried, hand trimmed and installed in village and city streets in Europe 100 to 400 years ago. The top surface is naturally weathered and worn after centuries of exposure to climate, foot traffic, horses and carriages. The patina is impressive and unmistakably real. You’ll find an extensive variety of sizes and types; traditional European squares or rectangles in granite or a very hard/dense European sandstone appropriate for all freeze/thaw conditions as well as several rare varieties including beautiful Historic Sidewalk Cobble. Most cobble sizes can be sawn thin, 1″ to 2″ creating an antique “paver” accommodating concrete base installations! Antique limestone and granite curb can also be sawn to your specifications. For more than 15 years, Monarch Stone International has been the experienced source of authentic cobblestone and curb for beautiful homes, elegant hotels and commercial projects across the U.S.A.
Trust the experts! Genuine antique reclaimed granite cobblestone, sandstone cobblestone and curb from Europe! Memorable homes begin with the driveway! Reclaimed Antique Granite cobblestone lends timeless beauty as paving for driveways, motor courts, walkways, courtyards. Charming old-world SANDSTONE cobblestone pavers - as durable as granite. Gorgeous warm colors and a foot-friendly surface! 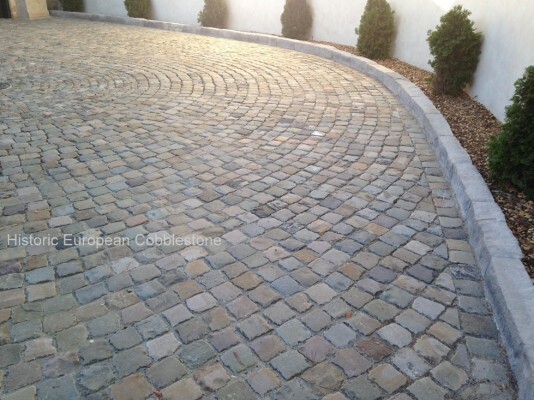 Reclaimed antique cobblestone originally used in pedestrian areas only. Surface is very flat and patina is warm and colorful. Impressive salvaged European CURB. Two stone types; limestone or granite available in various sizes. 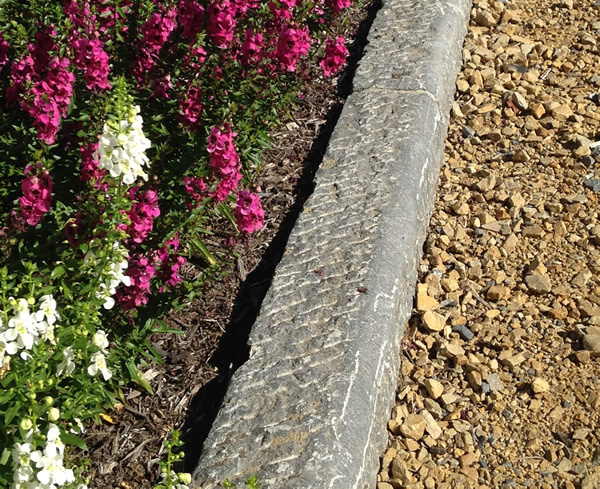 Excellent for driveways, wonderful edging for walkways and landscape borders. Sign up to receive product updates!